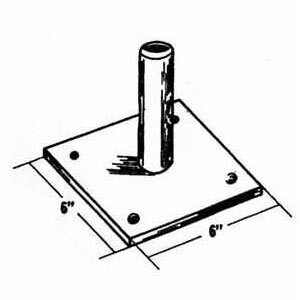 Base Plate - provides footing for frame assembly on level surfaces. Has four nail holes on base. Wt. 3 lbs. Accessory items such as the Base plate, Shore Heads, and Leveling Jack with tube have holes drilled in them to pin them together with locking pins.